Hey guys. Posting this in the hopes that someone can help me out; I hope it's okay. 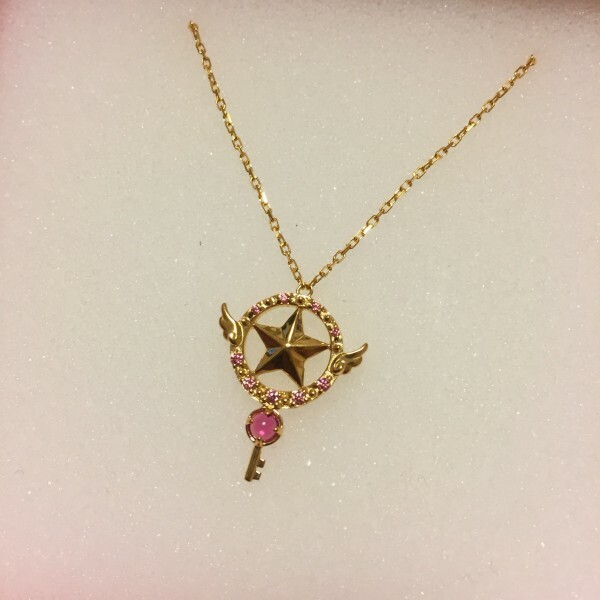 So I bought the Star Key necklace from Samantha Silva's Cardcaptor Sakura jewelry collaboration, but unfortunately as soon as I received it, I found that the chain is too short for me. I don't really want to go buy a chain extension or anything of the sort (since I might invalidate warranty or so on), so I'm going to sell it, heartbreaking as it is. It's quite pricey so I apologize in advance; if you are interested I can accept payment through Paypal (or if you are in the Philippines, bank transfer is okay). It's the first time I'm selling anything so I don't have any sales feedback posts or anything of the sort, but please talk to me and hopefully we can work something out! Yoroshiku! Questions and inquiries for additional pictures are welcome. Please send an email at himitsuru@i.softbank.jp, thank you! The auction starting price is $20. There are 6 days left! "The vivid stained glass charm has a 3D mascot of Sakura’s partner Cerberus in the middle that sways when you move. Also included are two other charms themed after a Clow Card and the Clow Book that gives the stylish charm necklace a sense of volume" (Source: Otakumode.com). 9th-Feb-2015 03:12 pm - css icons! Hi! I'm selling a set of CLAMP in 3-D Land figures (Chobits Freya, X/1999 Fuma, Card Captor Sakura Syaoran). 3-D Land Yuko also for sale. There is CLAMP shitajiki (pencil boards) such as Clover, Code Geass, Tsubasa Reservoir Chronicle. There is a lot of other non-CLAMP series, too. 18th-Jun-2014 11:23 pm - CCS AMV: Ohayou! Close Up of Staff Head + size comparison The staff is rather big. Since I don't use ebay often, here's sales feedback I've received on LJ's EGL community. Awhile back my mom came across two Trendmaster Clow Card Books at the Goodwill. However, each of the books is missing a few cards. I was wondering if anyone else had an INCOMPLETE set and would be willing to sell me some of their cards. Again, I do NOT want to buy a full set. I would just like to buy a few cards in particular so that I can complete my sets. After the sets are complete, I plan on giving them away for free in a contest for my website. Let me know if you are looking to sell! Here is a list of the missing cards. Hi there! 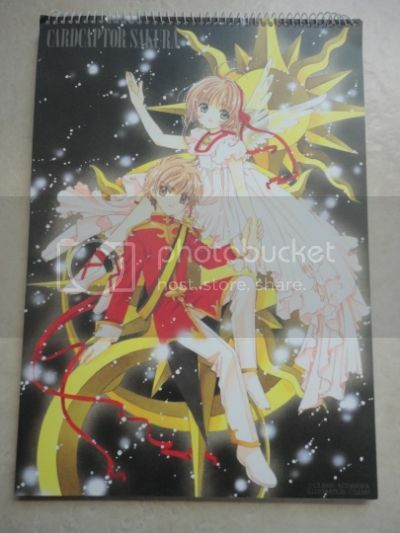 I have a pretty Card Captor Sakura sketchbook I would love to find a good home for! This page was loaded Apr 20th 2019, 4:56 am GMT.